To me, Paris is one of the most beautiful cities in the world. Each time I visit I discover even more of her splendor. As a girl who loves luxury travel it makes sense for Paris to be at the top of my list. Paris is known for being the epicenter of luxury. It is romantic, full of European charm, and high-end food that will please the pickiest palate. Most people say they could spend a small fortune when they make Paris their vacation destination. However, if you know what to look for and are savvy, you can have the perfect Paris vacation without the big bucks. Following are five ways to make a champagne Paris vacation when all you have to work with is a beer budget. Paris has one of the most excellent public transportation systems on the planet. Not everybody will take a cab, and as such, their bus systems are some of the best in the world. Some of the bus passes even come with tours so you can kill two birds with one stone. You may also purchase a bus pass for the length of your stay and save even more money. In addition, there is always the option of walking to nearby attractions on foot if you prefer. This may come as a surprise, but some of the city's most notable attractions and monuments are completely free. For example, you can visit Notre Dame Cathedral free of charge, as well as Sacré Coeur, and the banks of the Seine River. Also worth mentioning? Paris has a share of free museums. You might also be interested to know that the Louvre and its newer counterpart The Musée d'Orsay offer free admission the first Sunday of every month. This is an option that is really beginning to gain some steam. There are many people in popular tourist destinations that will actually allow you to stay in their home completely free of charge. That's right, no cable bill, no Internet and utility bill, and most importantly, no mortgage. 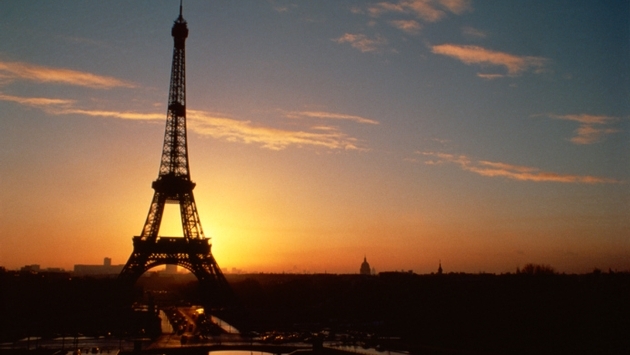 Imagine visiting Paris without having to factor in the cost of your hotel stays! There are plenty of people who do that very thing every year. The rules and restrictions of housesitting very according to the homeowner, but usually their requests pale in comparison to the amount of money you will save. Not to mention, these homes are sometimes more opulent then a hotel you would stay in otherwise. There are many free events that occur annually in Paris. Many of these events occur in the spring and summer months when hotel prices skyrocket. However, if you pay attention to point number three, then you could very well end up visiting Paris during peak season, paying nothing for lodging, and enjoying some of the fantastic public art events, or perhaps the artificial beaches that transformed the Seine River into a striking ocean scene. Do a little digging and you will find there are also other great free events that occur regularly in the fall and winter seasons as well. If you can book your vacation in the off-season, your airfare will be much cheaper. Also, you can find plenty of great restaurant bargains during off peak times. Another tip regarding restaurants; it is usually cheaper if you eat standing at the bar rather than sitting at a table and having a waiter host you as a couple. If you would like a beer or a cup of coffee, hold off until you find a café that is frequented by locals. Otherwise, you are going to pay handsomely for the privilege of sipping your coffee or brew in a tourist location. These tips will come in handy as you make your way through one of the most expensive cities in the world. Yet you can navigate your way confidently, knowing you will have the same exquisite experience that people the world over have had, only spending a fraction of what they did. With a little creativity and proper planning, Paris can indeed be a wonderfully affordable vacation.